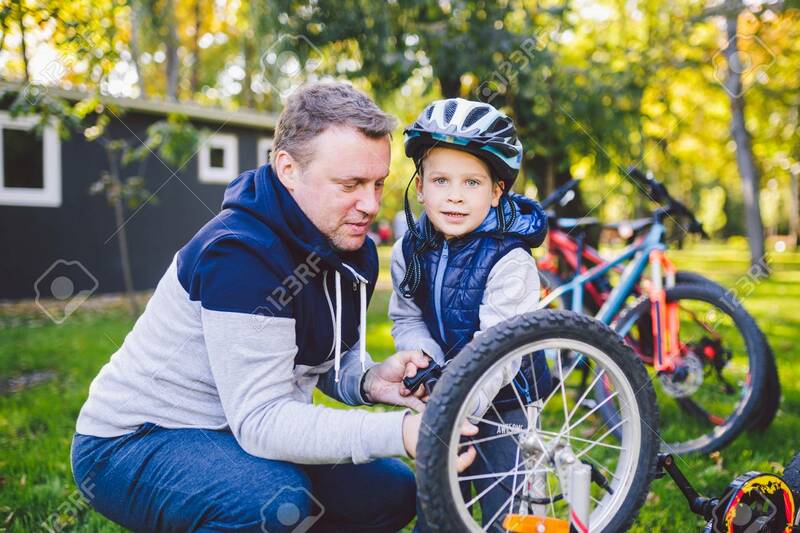 Father's Day Caucasian Dad And 5 Year Old Son In The Backyard Near The House On The Green Grass On The Lawn Repairing A Bicycle, Pumping A Bicycle Wheel. Dad Teaches How To Repair A Child's Bike. Lizenzfreie Fotos, Bilder Und Stock Fotografie. Image 115334360.